In this project we are going to interface Ultrasonic sensor HC-SR04 with Arduino and LCD Display. Ultrasonic sensor is used to measure the distance. It acts as a Sonar. It sends an ultrasonic wave of certain frequency which comes back after hitting the object and calculates the time traveled by it. 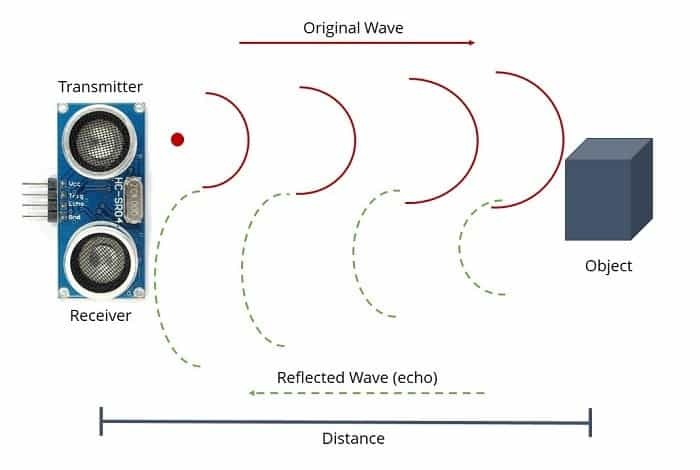 So lets learn about Distance Measurement Using Arduino & HC-SR04 Ultrasonic Sensor. For project Distance Measurement Using Arduino & HC-SR04 Ultrasonic Sensor, copy this code then compile and upload to your Arduino board.But before that you need to add the NewPing library first. So download from below.